Pearl has introduced the new 830 series to replace the 790 series. 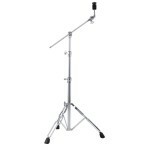 The BC 830 boom cymbal stand has the new Uni-Lock cymbal tilter as well as all new collars. It has a double braced tripod. The BC 830 is the lightest weight boom available from Pearl. The CS-665A Boom Stand is considered Light Weight with more stability than the CS-655A due to Double -Braced legs. It is compact, folds down for packing and a great all-around stand. 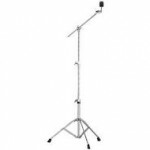 Single-Braced Boom Cymbal Stand, the CS-755 is Medium weight and very stable. 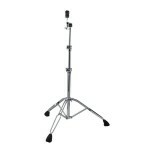 It's for those gigs when you are hitting hard but need a compact stand for travel and durability. 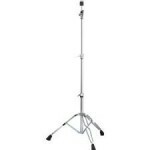 A heavy-duty boom cymbal stand with "GYROLOCK" which features 2 boom arms, and built in cowbell rod. An extremely versatile stand with complete adjustability. Double Braced Legs with a boom counter weight, the new model features new collars and the Trident Tripod. 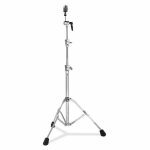 A heavy-duty straight cymbal stand, the C-1030 is a road worthy, heavy hitting stand. Featuring the "GyroLock" cymbal tilter, it was designed for recording studios to be a no-rattle stand. It has double braced legs and the new model features new collars and the Trident Tripod. 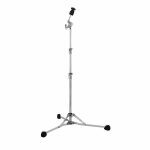 The Canopus CCS-1F Light Weight Flat Base Cymbal Stand stand weighs only 5.07lbs. The flat base gives stability and the stand folds compactly for easy transport. This is a straight stand designed for portability. Take the load off! 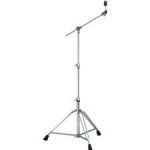 Looking for a light, straight cymbal stand for travel and stability this is the one!! Single Braced, very compact and easy adjustments. It has an off-set tilter. The CS-650A= Very dependable!! The CS-660A is basically the same stand as the CS-650A escept it has double braced legs. It is considered a Light Weight stand but will add more stability than a single brace stand. Off-Set tilter and compact design. 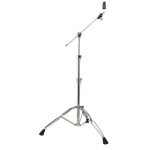 The advantage of the CS-850 stand is the idea of it being a medium weight stand without double braced legs. Yamaha has designed the stand to be stable for heavy hitting but not super heavy. It has the off-set tilter and easy portability. Built to last!! 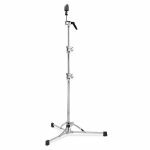 If you are a heavy hitter and need a stable cymbal stand the CS-850 is Yamaha's answer. With double -braced legs and an infinite adjustable tilter, this straight stand holds steady and will not creep on you. A Single Braced Light Weight Boom Stand, the CS-655A is perfect for those situations when you need the reach and not the heavy crashing. It is compact and packs easily. Great for travel. This stand has Double- Braced legs and is made to hold up to heavy crashing. The tilter has infinite adjustment and the hinged boom tilter clamp grips the boom more securely. Also the plastic plugs in the vertical tubing assures no rattle when recording. The CS-865 is Great for stage and recording projects!! The CS-965 is Double Braced and made for heavy hitting. It has an infinite adjustment tilter and thick rubber feet. 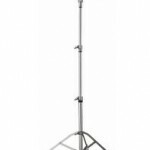 This stand has the same features as the CS-865 with hinged boom tilter clamp, but with a heavier tripod base. The plastic tubes in the vertical tubes secure no rattle when recording. 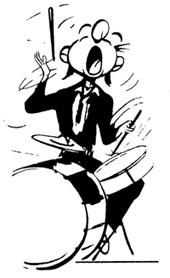 This is for heavy crashes and ride cymbals. 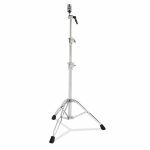 The Pearl BC150S Cymbal Stand features a gearless tilter and is easy to adjust to your favorite angle. Extremely lightweight, the stand weighs under 5.5 lbs. Perfect for gigging and reducing weight in your trap case. The flat base can be converted to a single-braced tripod stand by flipping the convertible tripod base. FREE SHIPPING WITHIN CONTINENTAL USA. The Drum Workshop DWCP5700 Boom Cymbal Stand is Heavy Duty and has double braced legs. It has memory locks and is a durable touring stand. Made for heavy hitting, it will hold up to the most demanding players. It has a fine tooth tilter. The stand converts easily to a straight stand if needed. 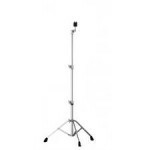 The Drum Workshop DWCP3700 Boom Cymbal Stand is a light weight boom stand. It has double braced legs and a fine tooth tilter. Memory locks are included. 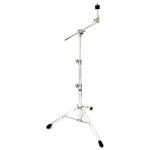 The DWCP3700 is a newer series of the standard DW stands, but priced lower with the same quality you expect from Drum Workshop. This will convert to a straight stand if necessary. 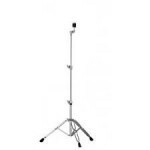 The Drum Workshop DWCP7700 Boom Cymbal Stand is a single braced boom stand. It is lightweight and packs very compactly. Designed for light to medium hitting, it will convert to a straight stand if necessary. 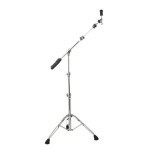 It has been very popular with players looking for a lighter version boom stand. The tilter is toothless and holds firmly. The Drum Workshop DWCP5710 Cymbal Stand is a Heavy Duty Straight Cymbal Stand. It has double braced legs and includes memory locks. Designed with heavy hitters in mind, it will stand up to the most rigorous playing. 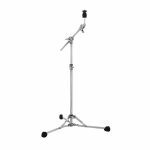 It has a fine tooth tilter and is a great stand for touring. 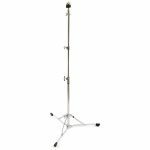 The Drum Workshop DWCP7710 Cymbal Stand is straight, single braced and designed for medium to light playing. A favorite with jazz and light rock players. It packs compactly and is a good all-around traveling stand. It is very dependable and the over-sized tilter makes for quick and easy adjustments. 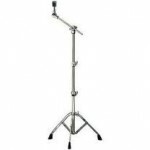 The Drum Workshop DWCP6710 Cymbal Stand is a flush base straight cymbal stand. We have found the DWCP6710 to be most popular with jazz players looking for vintage-style stands. It has a vintage look and packs very compactly. It is lightweight and the over-sized tilter makes for easy adjustment. The legs are aluminum and memory locks are included. The C-830 Cymbal stand has new Uni-Lock Tilter system as well as all new collars. It is the replacement for the 790 series. All new collars and double braced tripod make this a sturdy stand. Lightest of the current Pearl stands. The new 930 series has an improved Uni-Lock Tilter, new collars and a new Trident design Tripod. 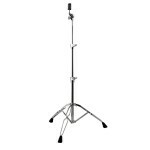 This is a heavy duty boom stand and has the ability to convert to a straight cymbal stand. It is extremely versatile and road worthy. 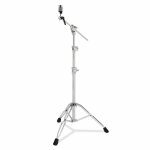 The C-930 is a straight cymbal stand redesigned from last year. Improved Uni-Lock Tilter and new collars as well as a new Trident Design Tripod make this a heavy duty, road worthy stand. Very reasonably priced! 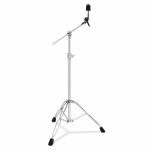 The Canopus CBS-2HY Hybrid Cymbal Stand is a boom stand incorporating both steel and aluminum. The stand is light weight but sturdy. Ideal for travel it weighs 6.83 lbs. In order to stabilize, when set up the center pipe is very close to the floor. This creates the balance necessary for a hybrid stand. 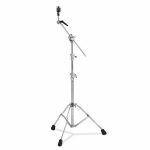 The Pearl C150S Cymbal Stand features a gearless tilter and is easy to adjust to your favorite angle. Extremely lightweight, the stand weighs 4.80 lbs. Perfect for gigging and reducing weight in your trap case. The flat base can be converted to a single-braced tripod stand by flipping the convertible tripod base. FREE SHIPPING WITHIN CONTINENTAL USA.